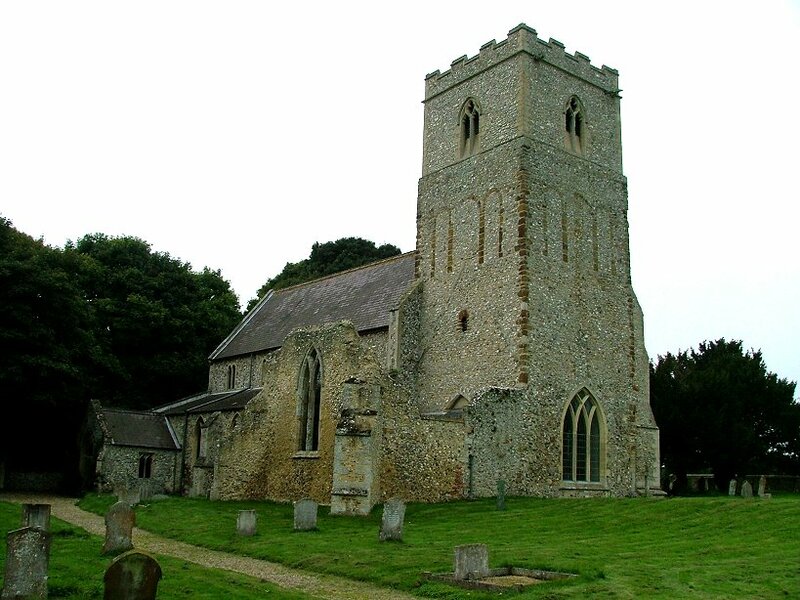 Flitcham is a pretty little village on the edge of the Sandringham estate, just to the north of the road from Kings Lynn to Fakenham. 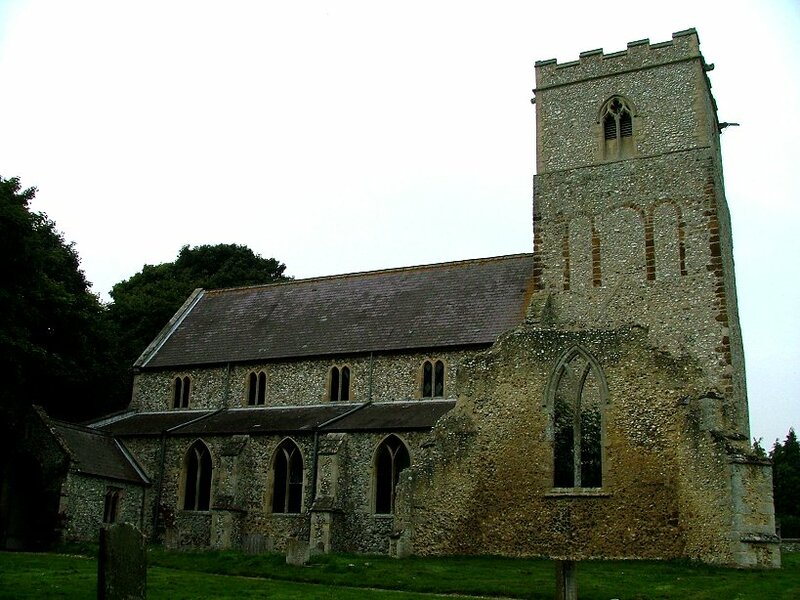 We had just spent the best part of the day in the first of those two towns; this was pleasant enough in its own way, but it came as a relief to be out here in the countryside again, in a part of Norfolk where villages can seem very remote. 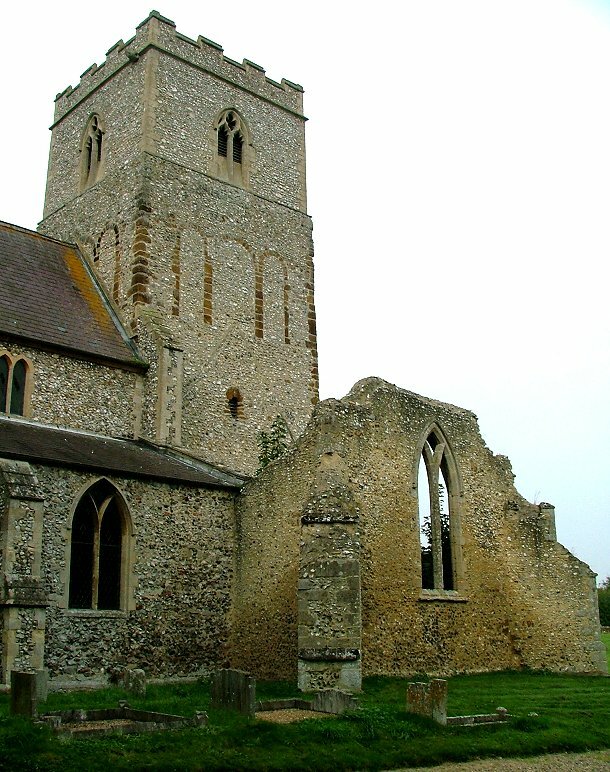 St Mary is, or was, a large cruciform church of the 12th century. 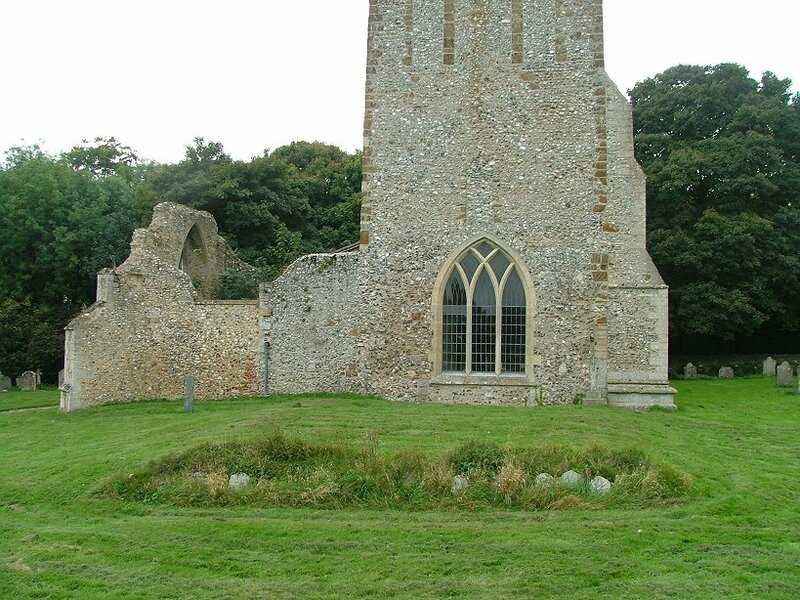 The north transept has gone completely, and the south is in ruins; the chancel is also lost, but the ground where it stood is slightly raised, a ghost of its former existence. 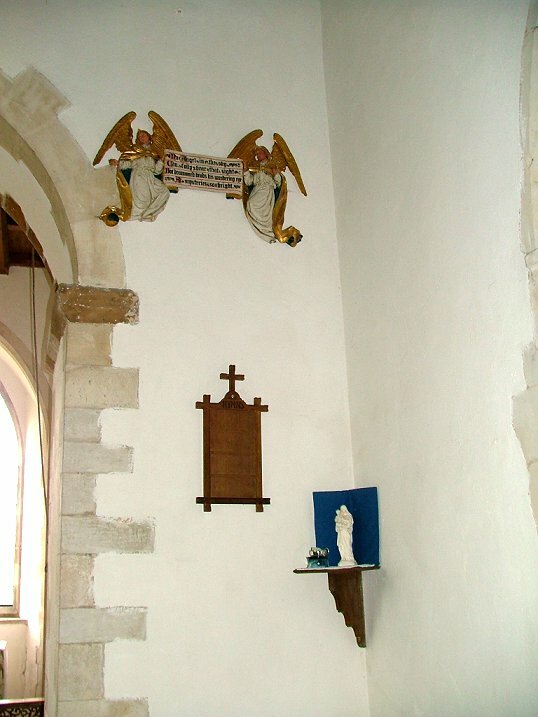 The modern chancel is under the tower, which now forms the east end, making this one of those churches that feels as if it was built back to front. 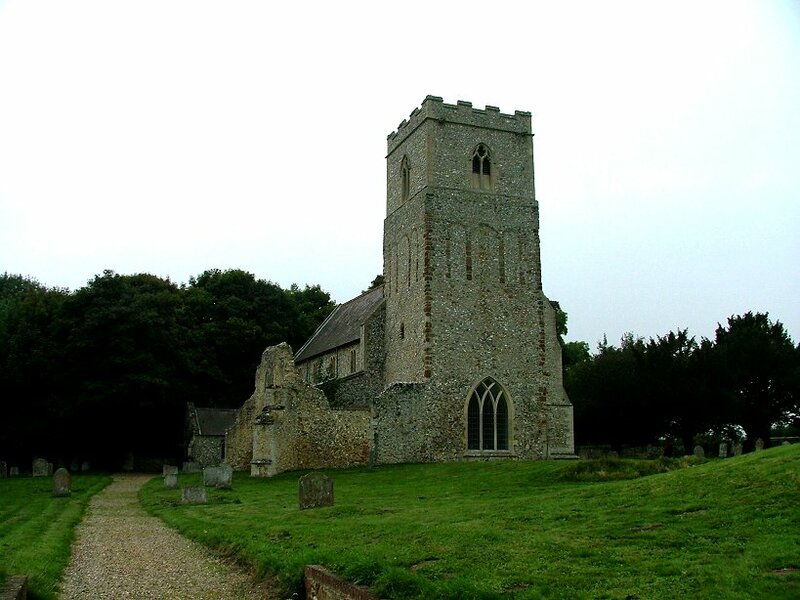 Five hundred years before St Mary was built, this parish might have been the home of one of St Felix's missions (Flitcham = Felix ham) but nothing now survives of that time. 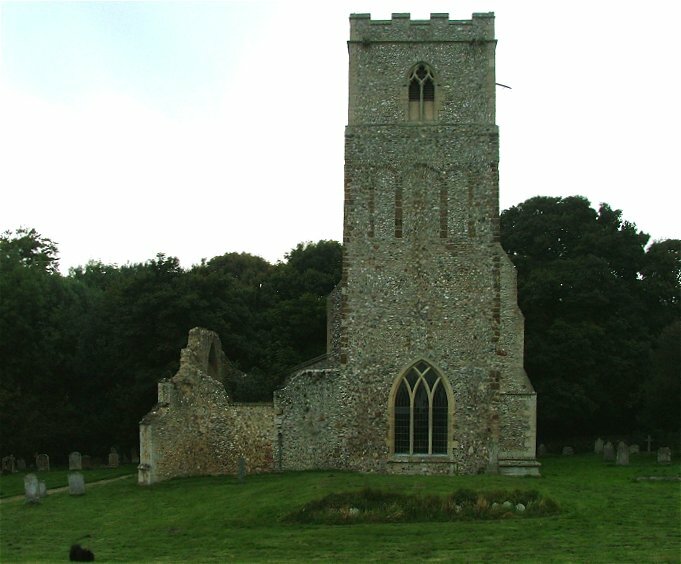 Instead, this great blockish tower speaks of Norman self-confidence with its blank arcading - that to the east is particularly dramatic. 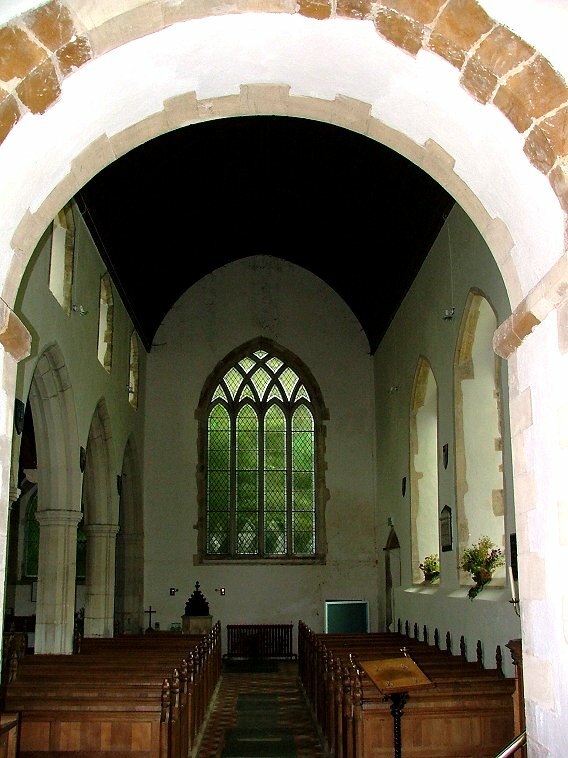 The nave and south aisle were almost entirely rebuilt in the 19th century. 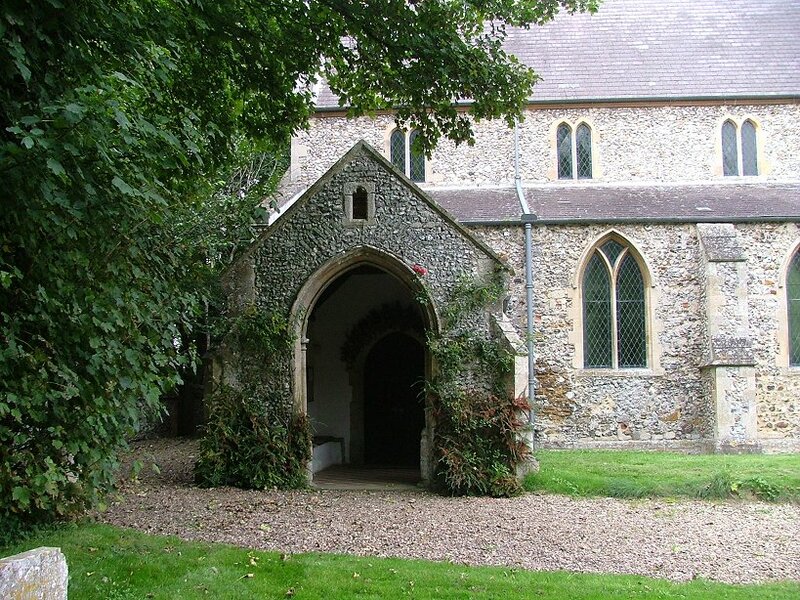 And, as with many churches in this area, the royal family took on further restorations in the early part of the 20th century with enthusiasm, and not much inside remains from before that time. 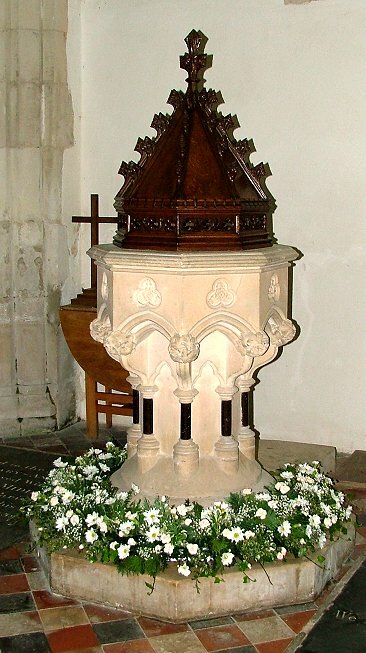 The font is slightly earlier, from the 1880s, and was moved here from Sandringham by Edward VII, who also gave the benches as part of the 1907 refurbishment. 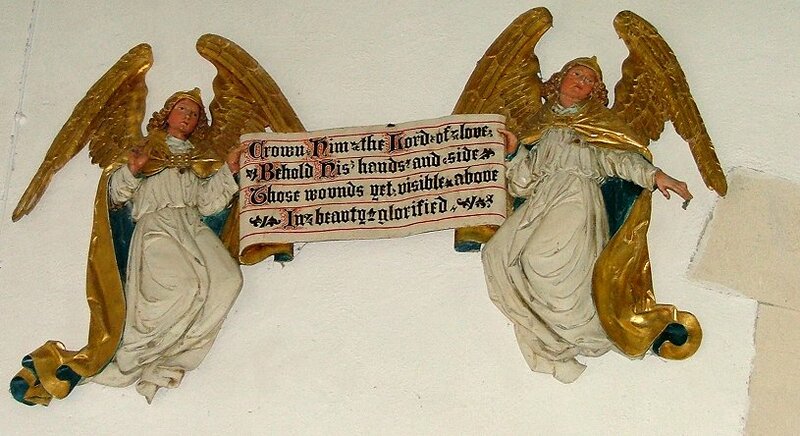 The strange angels holding the words of the Tractarian hymn Crown Him with Many Crowns that flank the tower arch (which has now become the chancel arch) are also from Sandringham. 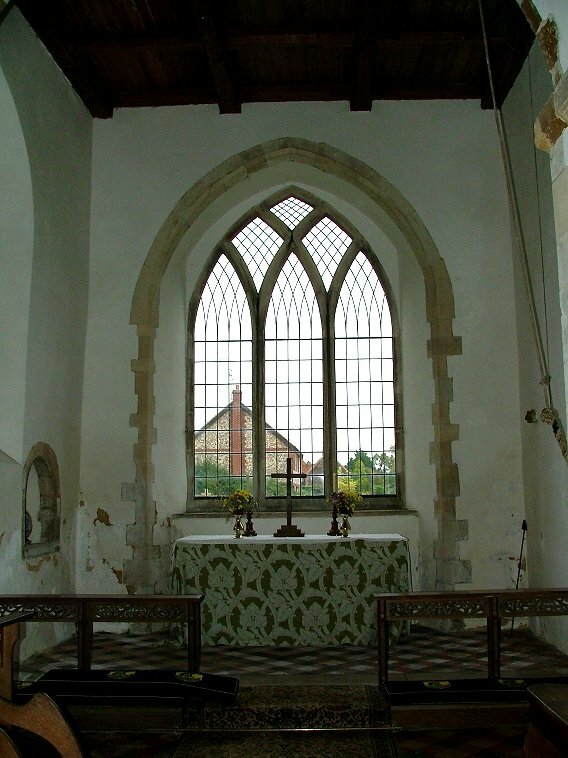 The best feature of the church today is the little sanctuary, which is full of light and very pretty. 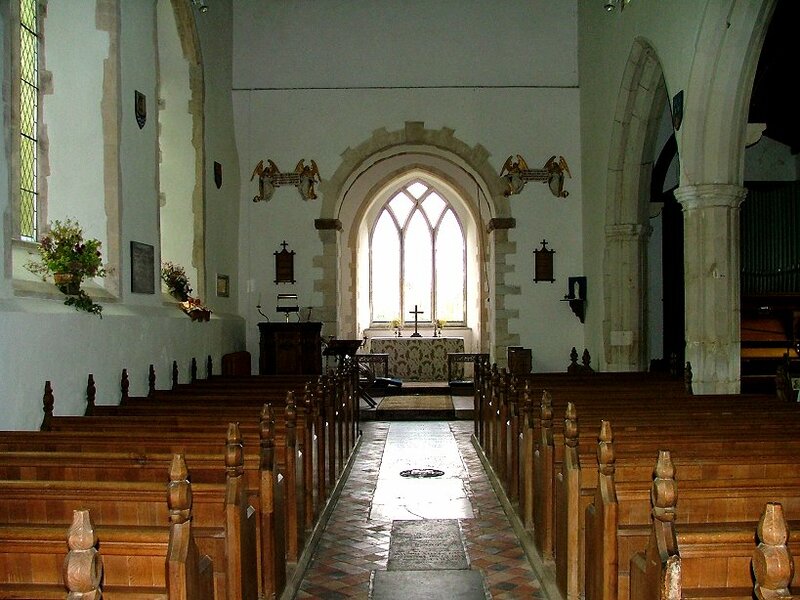 Otherwise, there is not much that is ancient of note, just a quiet, welcoming church in a pleasant village; which, after a day in Kings Lynn, was enough.